Known sinkhole activity in your immediate area. 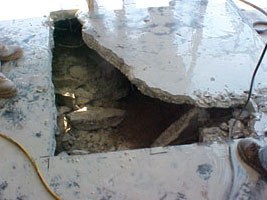 If you have filed a sinkhole claim prior to hiring our firm, we can assist you if your claim has been wrongfully denied. We will assist you in evaluating any materials submitted to you by the insurance company, including a denial letter and any and all documents relating thereto to determine whether or not the insurance company has acted in good faith with you and pursuant to the law and your insurance policy. In the event our firm is hired, we will undertake all representation in sinkhole matters on a contingency fee basis. In other words, you will not be liable for any attorney’s fees or costs unless a recovery is made on your behalf. 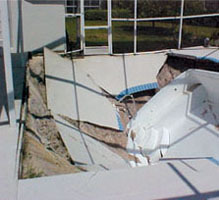 As experienced sinkhole litigation attorneys, our firm has handled sinkhole claims throughout the State of Florida including: Miami, Broward County, Osceola, Pasco County, Hernando County and Pinellas County. If you have a sinkhole claim within the State of Florida, you may obtain a free consultation from our firm regarding your rights as an insured under your homeowner’s policy of insurance. Mr. Heiden has acted as lead trial counsel in numerous sinkhole cases that have been taken to verdict in the state of Florida.